Come On Down To Congress! Bob Barker Endorses In Fla. Race : It's All Politics The former Price Is Right host is backing Republican David Jolly in a special election next month for a St. Petersburg-area congressional seat. The 90-year-old tells voters, "When you get to be as young as I am, you call it like you see it." 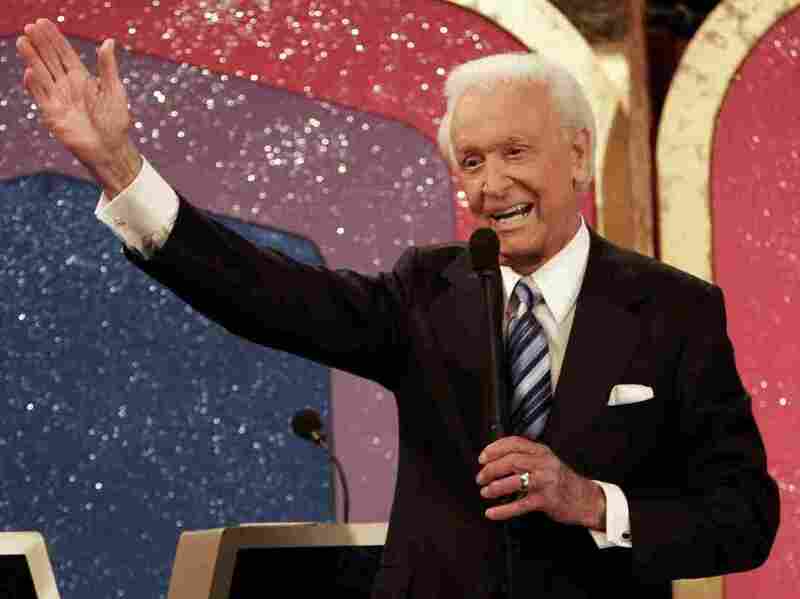 Legendary Price Is Right host Bob Barker endorsed Republican David Jolly in an upcoming special congressional election in Florida. Former Price Is Right host Bob Barker wants Florida voters to come on down to the polls for Republican David Jolly next month. Barker, who retired from the popular daytime game show in 2007 after 35 years, appeared in a television ad Thursday on behalf of Jolly, a lobbyist running in a special election for a St. Petersburg-area congressional seat. "Folks, when you get to be as young as I am, you call it like you see it. That's why I'm supporting David Jolly for Congress," Barker says in the ad. To close out the spot, Barker says, "With Jolly, the choice is right." The Jolly campaign booked airtime in Florida's 13th District, which is home to a high proportion of senior citizens, during Thursday's edition of The Price Is Right, according to Roll Call. Barker — whose long-running show was known for its signature catchphrase "Come on down!" — also made a special cameo in the episode to celebrate his 90th birthday. In the ad, Barker praises the work Jolly did as an aide to his "good friend" Rep. C.W. "Bill" Young, who Barker formally endorsed during the 2010 campaign. A special election was called after Young died in October at the age of 82. Barker's endorsement comes just as a dispute between Young's widow and son, who are backing different candidates in the Jan. 14 GOP primary, is boiling over. Beverly Young said her husband wanted Jolly to succeed him, and she made a brief appearance in one of his recent campaign ads. But Bill Young II has thrown his support behind one of Jolly's rivals, state GOP Rep. Kathleen Peters. The family feud spilled into public view after a candidate luncheon last week, when Beverly Young told her son, "You have hurt me beyond belief," according to the Tampa Bay Times. The winner of the Republican primary will face the likely Democratic nominee, Alex Sink, in what is expected to be a tight March 11 general election contest.